Metadata and Structure formatting preserved. Apart from PST files to CSV, the software converts PST files in more than seven file formats. Export selective emails to csv format by right click and then export. For bulk conversion, export given in menu bar. Select CSV file format in destination. Tick on checkbox to apply options available. Browse location to save resultant file & click on OK to proceed further. I have recently graduated from college. At college, we are using the Outdated email client for the purpose of official communication. Now I want to configure my account in free email services such as Gmail. For this, I am looking for an appropriate solution for my problem. Because I do not want to lose any contacts & emails. I have about 1000+ contacts stored in mail account. Can I convert PST Email Header to CSV? What is the pre-requisite to install software on Windows? Does software recovers lost or deleted data also? Is it possible to convert only selective items to CSV? There are many manual methods to convert PST file to CSV but they are not efficient. Because there might be the possibility of losing crucial data while you attempting the manual method. So Use of the trusted & tested tool is more feasible. PST file to CSV converter is one of such tool which can easily convert PST to CSV file formats. It simply converts PST email header to CSV. It provides 9+ preview modes for too deeply analyze the pst file. There is the negligible possibility of data leakage while using PST file to CSV Converter and you can easily install it on a windows system. The Software does not recover any deleted or lost email & contacts. Can I filter the emails sent from a particular person with particular keyword? Can I convert the PST file with size greater than 2 GB? Yes you can convert PST files with any size and any type. The tool efficiently converts ANSI as well as the Unicode PST files formats. How many PST files does the software converts in one stretch? The PST file to CSV converter exports n number of PST files in one go. The number of files or the size of the files does not limit the capabilities of the application. The PST to CSV converter helped me to export the email headers into CSV file. The converter tool exported my 1000+ emails headers into a single CSV. This helped me to analyze headers within one file rather that searching across multiple files.Thank you for thegreat workguys. The PST to CSV converter is an amazing toolthat helped me to export the email headers to a CSV file and analyze it. This was very helpful as far as an investigator is concerned also, helped me to save my precious time during the investigation process. Brilliant work, team! "PST to CSV converter will be useful in case when you want to save the important contact to CSV format & manual method fails to give a satisfactory result. You can easily preview the content of PST file in converter itself. You can perform deep analysis of PST file before conversion. 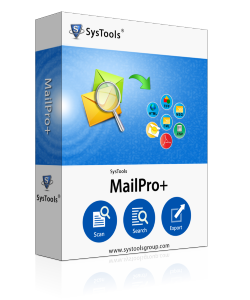 It provides the powerful search also to search specific email from the pile of emails.